A portrait is one of the most special, personal gifts you can give someone! If you would like to give a wonderful memory and don't have photos of a friend's animal, or time is short send a gift certificate! ​​When emailing photos make sure they are of the highest resolution possible. This means the more pixels in a photo the better, making for sharper details . You may also snail-mail me hard copy or a CD. I will return them with the finished portrait. My paintings are not photographic but realistic. I try to capture the true nature of your animal. The eyes are very important in this process. 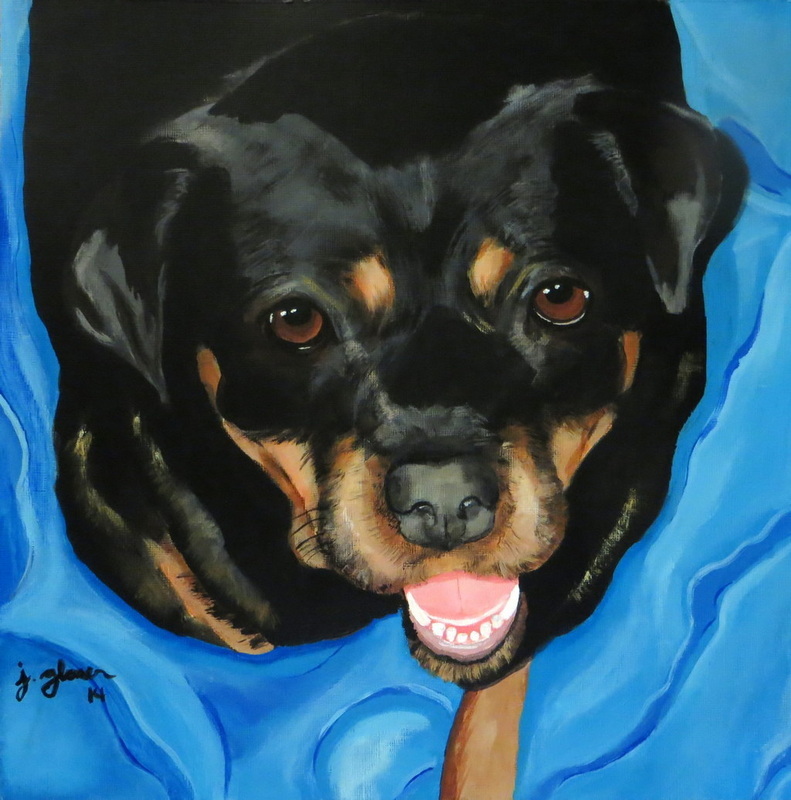 My animal portraits are a collaboration between my clients and me. I get your approval throughout the entire process of the painting, as you know your animal better than anyone. I want to be sure you are happy with the painting. All paintings are done from photos. You may send as many photos as you like and together we will choose the best one for a portrait. If you have a favorite picture be sure to let me know which one it is. If you are having trouble getting a good picture and are local to the Salt Lake City or Park City area I am happy to come and take photos of your animal, at no extra charge. If you are looking for a different size contact me and I will let you know what the pricing will be. Paintings are done with acrylic on acid free, heavy weight, artist grade paper. Or on Cradle boards. I ask for 50% deposit, when you place the order and then I will email or send photos as the painting progresses; I always want you to be happy with it. When I have your approval at each stage of the portrait, I continue on with the painting. After I have your final approval, I will have you send me the final 50% and I will send or deliver the painting to you. All pieces are insured for the full value of the painting. If you are not local there will be an additional fee for shipping. If you are not completely satisfied, the painting may be returned for full refund.